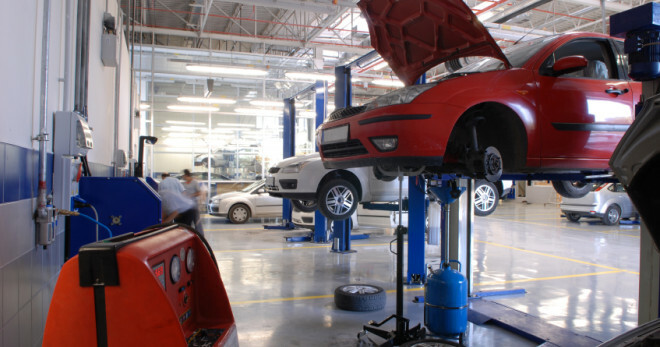 Automotive Service and Repair - Beatrice Insurance Agency, Inc.
As a garage and auto body & repair shop owner, you require a specific insurance program that can effectively address the unique risks your business faces on a daily basis. At Beatrice Insurance Agency, Inc. we understand how important securing the best possible coverage is – that’s why we are proud to offer a comprehensive insurance program through one of our many carriers. Here at Beatrice Insurance Agency, Inc. we match you up with a specially trained agent who is educated to pinpoint your garage’s potential risk exposures. We then work with you directly to custom-build the perfect garage insurance or auto repair shop insurance policy that meets your distinct needs. Let the Beatrice Insurance Agency, Inc. help you understand and protect all of the risks you run and all of the perils your business faces. We will do this with a well thought out and executed business insurance policy designed just for our Garage & Body and Repair Shop Insurance policy holders.